Ultimix is a resource for professional DJs only. 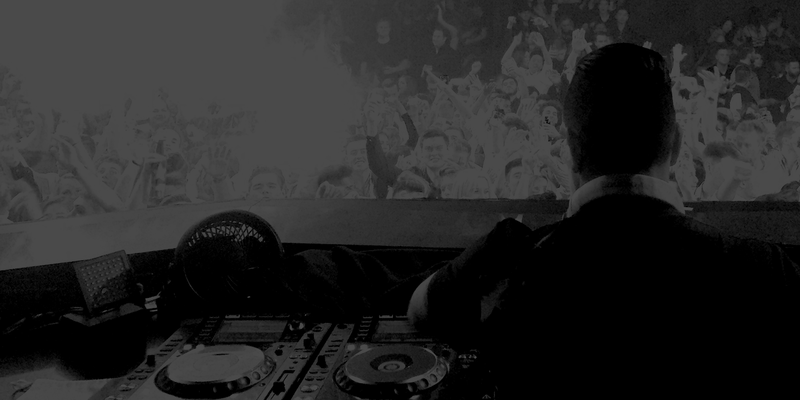 You must be a professional club, event, or radio disc jockey to subscribe to our service. You must be a working non-broadcast professional to employ any video elements represented on this site. You must certify that you are a professional club, event, or radio DJ and that video content will not be used for broadcast. • You may not create a link to this website from another website or document without ultimix.com prior written consent. • You must be a professional DJ currently working in the industry. • You agree to use the media contained on the ultimix.com website for no other purpose than to promote the existing and original works contained within the remix and/or re-edited media. • You agree not to resell, redistribute, exchange or trade any of the media obtained on the ultimix.com website. • You are responsible for applicable ASCAP, BMI, SESAC, or other related licenses and fees. The ultimix.com will not be responsible for locating, relaying, researching, or notifying you of any of these related licenses and fees. • The original artists, labels, sublabels and publishers retain any and all copyrights and the ultimix.com website, its owner(s), its employee(s), or contributing producer(s) shall be held harmless for any and all activity and from any member activities that do not oblige by the terms and condition of this agreement and any agreement illustrated collectively on the ultimix.com website. • Any violation to these conditions will be result in a permanent denial of access to the ultimix.com website. • When subscribing to Ultimix, Funkymix and or both, you must remain a subscriber for a minimum of 90 days. You may cancel your subscription at anytime after the 90 day period. User Submissions. The Website may now or in the future permit the submission of information, content, images, videos, comments, or other matter by you and other users (“User Submissions”) and the hosting, sharing, and/or publishing of such User Submissions. You understand that whether or not such User Submissions are published, we do not guarantee any confidentiality with respect to any submissions. 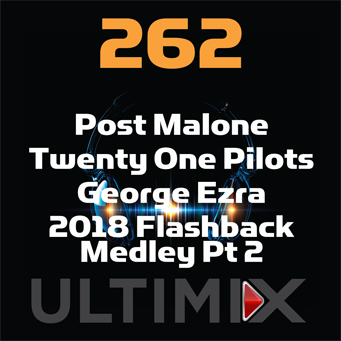 We assume no responsibility or liability for the deletion, corruption, or loss of any Content submitted by a Website user, or for Ultimix Record’s or ultimix.com’s failure to receive or store submitted Content for any reason, including, without limitation, malfunctioning of any network, hardware or software. You will be solely responsible for your own User Submissions of whatever nature that you post on, transmit via, or link to, from the Website and are responsible for the consequences of posting or publishing them. In connection with User Submissions, you affirm, represent, and/or warrant that: (i) you are the owner of the content, or otherwise have the right to post such content to our Website; (ii) the content is accurate, (iii) the content will not violate the rights of or cause injury to any person or entity, (iv) you own or have the necessary licenses, rights, consents, and permissions to authorize Ultimix Records and ultimix.com to use the User Submissions in the manner contemplated by this Website and these Terms of Service; and (v) you have the written consent, release, and/or permission of each and every identifiable individual person in the User Submission to use the name and/or likeness of each and every such identifiable individual person to enable inclusion and use of the User Submissions in the manner contemplated by this Website and these Terms of Service. For clarity, you retain all of your ownership rights in your User Submissions. However, by submitting the User Submissions to ultimix.com, you hereby grant Ultimix Records and ultimix.com a worldwide, non-exclusive, royalty-free, sublicenseable and transferable license to use, reproduce, distribute, prepare derivative works of, display, and perform the User Submissions for any purpose whatsoever in connection with the Website and Ultimix Records (and its successor’s) business, including without limitation for promoting and redistributing part or all of the Website (and derivative works thereof) in any media formats and through any media channels. You also hereby grant each user of the Website a non-exclusive license to access your User Submissions through the Website, and to use, reproduce, distribute, prepare derivative works of, display and perform such User Submissions as permitted through the functionality of the Website and under these Terms of Service. In connection with User Submissions, you further agree that you will not: (i) submit material that is copyrighted, protected by trade secret or otherwise subject to third party proprietary or intellectual property rights, including privacy and publicity rights, unless you are the owner of such rights or have express permission from their rightful owner to post the material and to grant us all of the license rights granted herein; (ii) publish falsehoods, misrepresentations, or deceptive matter that could damage Ultimix Records, ultimix.com, or any third party; (iii) submit material that is unlawful, obscene, defamatory, libelous, threatening, sexually explicit, harassing, hateful, racially or ethnically offensive, or encourages conduct that would be considered a criminal offense, give rise to civil liability, violate any law, or is otherwise inappropriate; (iv) post advertisements or solicitations of business; (v) impersonate another person, living or dead, real or fictitious. • provides material support or resources (or conceals or disguises the nature, location, source, or ownership of material support or resources) to any organization(s) designated by the United States government as a foreign terrorist organization pursuant to Section 219 of the Immigration and Nationality Act or any other relevant statute, regulation, or policy. • engage in personal attacks, harass or threaten, question the motives behind others’ posts or comments, deliberately inflame or disrupt the conversation, or air personal grievances about other members of the community. External Links. ultimix.com may contain links to other websites that are not owned or operated by Ultimix Records and are separate and independent from our Website. Visiting such other websites from ultimix.com is done at your own risk. We are not responsible for, and cannot guarantee, the availability or operation of these links, nor are we responsible for the performance or quality of any products, services, content or other materials made available on or offered through the linked sites. A link to another website does not constitute our endorsement of that site, nor of any product, service, content or other material offered on that site. Copyright Infringement Notification Procedure. If you are an owner of intellectual property or an agent of such owner who believes your intellectual property has been copied and is accessible on this Website in a way that constitutes copyright infringement, please notify us. Click here for instructions on how to do so. If there is a dispute between persons who are users of this Website, or between a Website user and any third party, you understand and agree that we are under no obligation to become involved in any respect. In the event that you have a dispute with one or more other Website users, you release Ultimix Records, ultimix.com, their officers, employees, agents, representatives and successors from any and all claims, demands and damages of every kind or nature, known or unknown, suspected and unsuspected, disclosed and undisclosed, arising out of or in any way related to such disputes and/or our Website. You agree not to use or launch any automated system, including without limitation, “robots,” “spiders,” “offline readers,” etc., that accesses the Website in a manner that sends more request messages to the ultimix.com servers in a given period of time than a human can reasonably produce in the same period by using a conventional on-line web browser. Notwithstanding the foregoing, Ultimix Records and ultimix.com grant the operators of public search engines permission to use spiders to copy materials from the Website for the sole purpose of creating publicly available searchable indices of the materials, but not caches or archives of such materials. Ultimix Records and ultimix.com reserve the right to revoke these exceptions either generally or in specific cases. You agree not to collect or harvest any personally identifiable information, including account names (if any), from the Website, nor to use the communication systems provided by the Website for any commercial solicitation purposes. You agree not to solicit, for commercial purposes, any users of the Website with respect to their User Submissions. Disclaimer of Warranty; Limitation of Liability; Indemnification. We work hard to make and maintain this Website. We cannot guarantee, however, that our users will always find everything to their liking; nor could we provide a free service if we were exposed to substantial liability. Please read these disclaimers and limitations carefully before using this Website. NO WARRANTIES: YOU AGREE THAT USE OF THE ULTIMIX.com WEBSITE (“ULTIMIX.com SITE” OR “SITE”) AND ANY MATERIAL OR INFORMATION AVAILABLE THROUGH THIS SITE IS ENTIRELY AT YOUR OWN RISK. THIS SITE IS PROVIDED BY ULTIMIX, INC. AND ULTIMIX.com ON AN “AS IS,” “WITH ALL FAULTS,” AND “AS AVAILABLE” BASIS. ULTIMIX RECORDS AND ULTIMIX.com MAKE NO REPRESENTATIONS OR WARRANTIES OF ANY KIND, EXPRESS OR IMPLIED, AS TO THE OPERATION OF THIS SITE OR THE ACCURACY, COMPLETENESS, CURRENTNESS, NONINFRINGEMENT, MERCHANTABILITY OR FITNESS FOR A PARTICULAR PURPOSE OF THE INFORMATION AVAILABLE THROUGH THIS SITE, NOR DO WE GUARANTEE THAT THE SITE WILL BE ERROR-FREE, CONTINUOUSLY AVAILABLE, OR FREE OF VIRUSES OR OTHER HARMFUL COMPONENTS. TO THE FULLEST EXTENT PERMITTED BY LAW, ULTIMIX RECORDS AND ULTIMIX.com DISCLAIM ANY AND ALL WARRANTIES, EXPRESS AND/OR MPLIED, FOR SERVICES OR GOODS ADVERTISED ON OR ACCESSED THROUGH ANY LINKS ON THE ULTIMIX.com SITE. LIMITATIONS ON OUR LIABILITY: UNDER NO CIRCUMSTANCES WILL ULTIMIX RECORS, ULTIMIX.com, OR THEIR AFFILIATES, AGENTS, OFFICERS, DIRECTORS, EMPLOYEES, REPRESENTATIVES OR LICENSORS BE LIABLE TO YOU OR ANYONE ELSE FOR ANY DAMAGES, OTHER THAN DIRECT DAMAGES, ARISING OUT OF YOUR USE OF THIS WEBSITE OR ANY PRODUCT OR SERVICE LINKED TO, FROM OR ADVERTISED OR PROMOTED ON THIS WEBSITE, INCLUDING, WITHOUT LIMITATION, ANY LIABILITY FOR CONSEQUENTIAL, SPECIAL, INCIDENTAL, INDIRECT, PUNITIVE, EXEMPLARY, OR OTHER DAMAGES OF ANY KIND (INCLUDING LOST REVENUES OR PROFITS, LOSS OF BUSINESS OR LOSS OF DATA), EVEN IF WE ARE ADVISED BEFOREHAND OF THE POSSIBILITY OF SUCH DAMAGES. YOU AGREE THAT THE LIABILITY, IF ANY, OF ULTIMIX.com AND ITS AFFILIATES, AGENTS, OFFICERS, DIRECTORS, EMPLOYEES, REPRESENTATIVES OR LICENSORS ARISING OUT OF ANY KIND OF LEGAL CLAIM IN ANY WAY CONNECTED TO THIS WEBSITE WILL NOT EXCEED THE AMOUNT YOU PAID, IF ANY, TO ULTIMIX RECORDS OR ULTIMIX.com FOR THE USE OF THIS WEBSITE. SPECIFIC DISCLAIMER FOR DOWNLOADING FILES: ULTIMIX RECORDS CANNOT AND DOES NOT GUARANTEE OR WARRANT THAT FILES AVAILABLE FOR DOWNLOADING THROUGH THE WEBSITE WILL BE FREE OF INFECTION BY VIRUSES, WORMS, TROJAN HORSES OR OTHER CODE THAT MANIFESTS CONTAMINATING OR DESTRUCTIVE PROPERTIES. THE ENTIRE RISK AS TO THE QUALITY AND PERFORMANCE OF THE WEBSITE OR THE SERVICE, THE ACCURACY OF ANY INFORMATION OR CONTENT PROVIDED THROUGH THE WEBSITE OR THE SERVICE, OR QUALITY OF ANY FILE USED IN CONJUNCTION WITH THE WEBSITE OR THE SERVICE IS SOLELY AND EXCLUSIVELY WITH YOU THE USER. INDEMNIFICATION BY YOU: YOU AGREE TO INDEMNIFY AND HOLD HARMLESS ULTIMIX RECORDS, ULTIMIX.com, THEIR AFFILIATES, AGENTS, OFFICERS, DIRECTORS, EMPLOYEES, REPRESENTATIVES AND LICENSORS AGAINST ANY LIABILITY OF ANY NATURE ARISING OUT OF ANY CONTENT POSTED ON THE ULTIMIX.com SITE BY YOU OR BY OTHERS USING YOUR ACCOUNT, IF ANY. You are solely responsible for obtaining access to the Website, and you must provide and be responsible for all equipment needed to access the Website. Choice of Law and Forum. Any dispute of any sort that might arise between you and ultimix.com will be governed by the laws of the United States and of the State of NC, without regard to their principles of conflict of laws. You and ultimix.com submit to the exclusive jurisdiction of the state and federal courts in the United States of America and that forum and venue shall be exclusive to Guilford County. 1. A physical or electronic signature of the person submitting the counter notice. 4. The name, address, and telephone number of the person submitting the counter notice, and a statement that such person consents to the jurisdiction of Federal District Court for the judicial district in which the address is located, or if the address is outside of the United States, for any judicial district in which the service provider may be found, and that the person submitting the counter notice will accept service of process from the person who provided notification under subsection (c)(1)(C) or an agent of such person. ultimix.com reserves the right to change the terms and conditions of this notification policy from time to time. Exchange Only - Refunds will only be given due to erroneous charges. * No Returns unless item is defective. * Recurring billing / "Pay As You Go" subscriptions may be cancelled by the customer at anytime. Orders will be shipped next business day via customer specified shipping method.